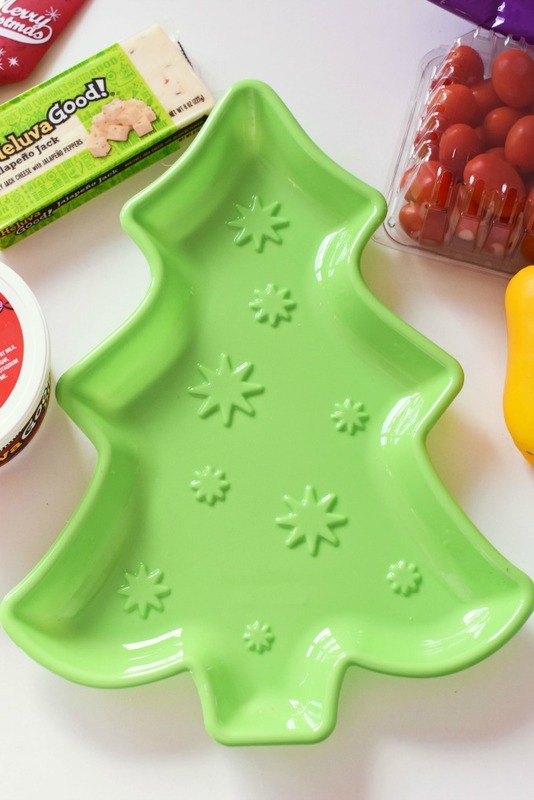 A fun and easy way to entertain, this edible Christmas Tree platter features cheese, dip, veggies, and can be assembled in under 15 minutes! Cheese, Dip, veggies, and cured meats are some of my favorite foods to enjoy during the holiday season. Our family loves our savory snacks so Heluva! Good Dips and Cheeses are always in our fridges for impromptu guests. You never know when someone will stop by for a drink or bite to eat. As a mom to 3, I often get inspired by foods my kids enjoy. 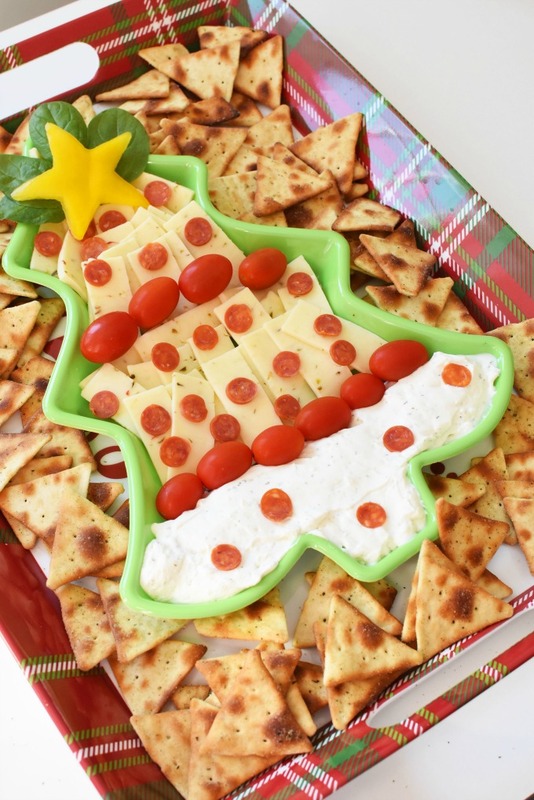 It just so happens that despite them being picky eaters, my kids love the foods that comprise this 15 minute or less Christmas Tree Dip & Cheese Platter. One 12-ounce package of Heluva! 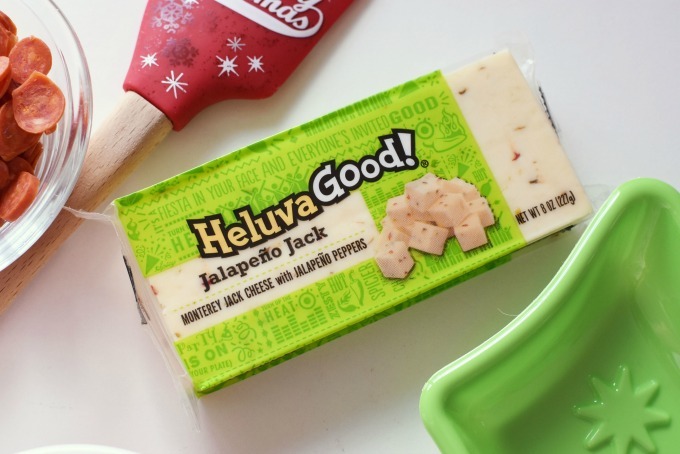 Good French Onion Dip, and one block of Heluva Good!® Jalapeño Jack Cheddar make up the bulk of this festive dip and cheese platter. I enjoy all Heluva! Good dips, but you might have noticed the French Onion Dip is my favorite! It just makes recipes like these Steak, Onion, and Cheese Baked Wontons Cups that much yummier. It is the kind of dip that is awesome mixed into recipes, or eaten alone. Everyone knows that I am the dip person and always take care of bringing the chips and dip top parties. In case you didn’t know, Heluva! 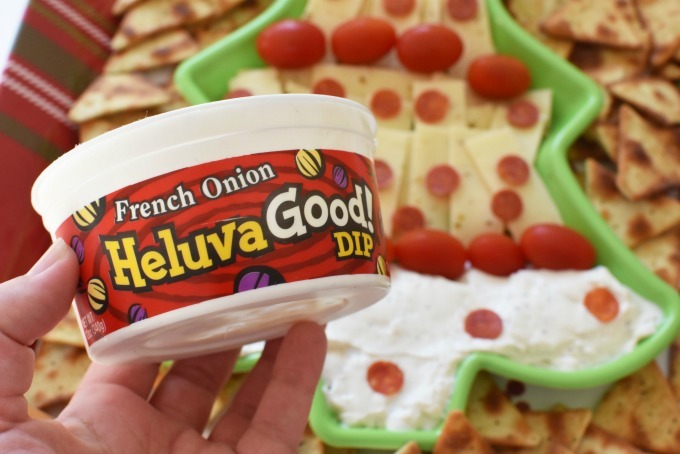 Good French Onion Dip is available in 24-ounce party tubs! For this Christmas Tree Dip & Cheese Platter I used a plastic tree platter, I bought for less than a $1 at Walmart. I found all my recipe ingredients there including the dip, cheese, pepperoni, and veggies. I know there are soo many artistically amazing tree platters out there but after careful thought, I wanted one I could assemble on the fly, or even ahead of time if need be. This platter can easily be made in the morning and plastic-wrapped for a night time party or event. The total cost to produce this was under $10, and time spent prepping it was under 15 minutes making it an inexpensive, time-saving holiday appetizer idea. 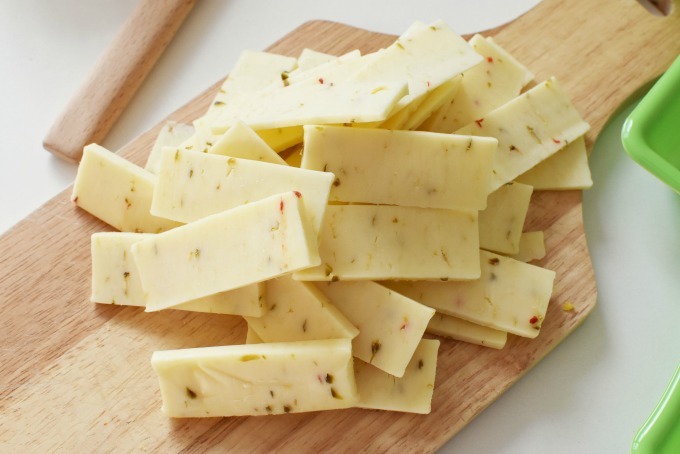 I sliced the Heluva Good!® Jalapeño Jack Cheddar into thin slices for the majority of the tree. I used some spinach and a yellow bell pepper for the topper. A small star cookie cutter came in handy for that. Tiny Pepperoni pieces made the ornaments, and cherry tomatoes made the garland. For the bottom of the tree, I spread Heluva! Good French Onion dip and added a few more baby pepperonis. I think it came out super cute! I added the Christmas Tree Platter to a larger serving tray and filled the tray with pita chips right before serving. My kids really loved it, and suggested I recreate it every weekend as a snack up until Christmas! What do you think? That looks so good! I love this festive tray look, too! It’s so cute! I love how you did this dip! And that tray is too cute. This looks so delicious and easy to make. 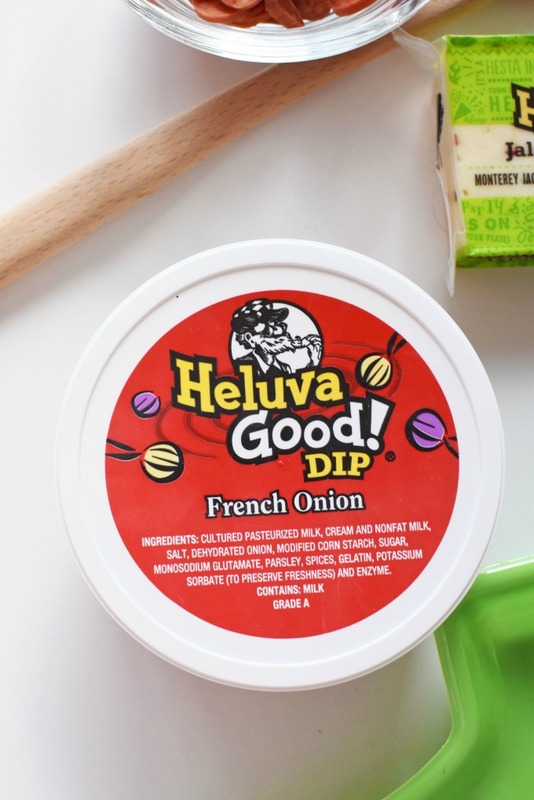 I love dipping everything in the French onion dip from Heluva Good! What a fun decoration/snack. It would be a HUGE hit at our Christmas Party this year. thanks for sharing! The presentation of this dip platter is just too cute! 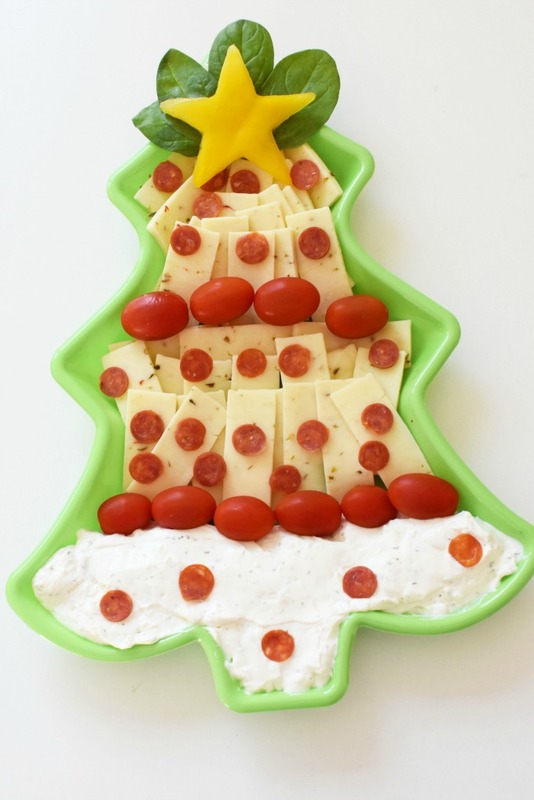 I think this would be so much fun to make for a Christmas party. I love cheese platters! They are a great way to have appetizers in the house that almost everyone loves! I don’t have to cook and they are EASY! Great idea! This is too pretty! A platter like this would be wonderful for Christmas Eve parties. The jalapeno jack is my favorite! This is a great idea. I love having cheese platters out during the holidays. It’s one of my favorite trays too! What a fun idea. It looks so festive and sounds so yummy! Heluva! Good French Onion Dip is my favorite. I will have to make a cheese platter for my next holiday get together. What a great idea and a perfect item to bring to a potluck we have this weekend, Fun and colorful. 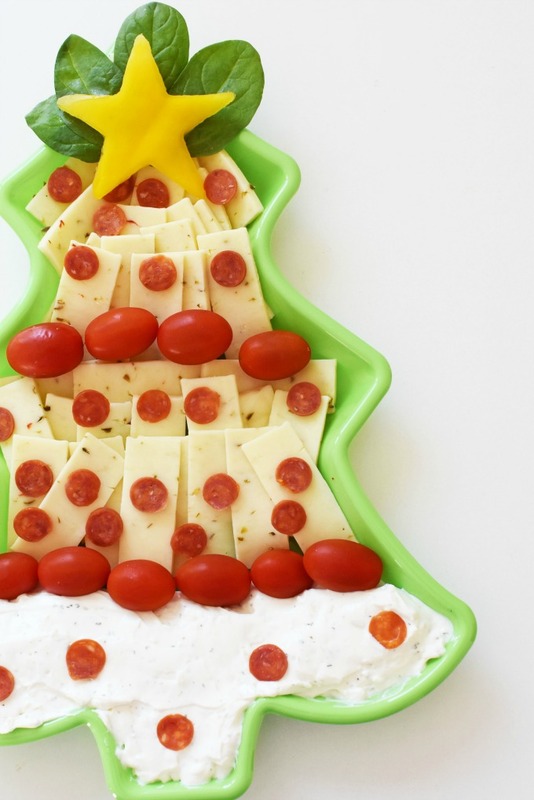 Using a tree-shaped platter is a great idea for a holiday party. 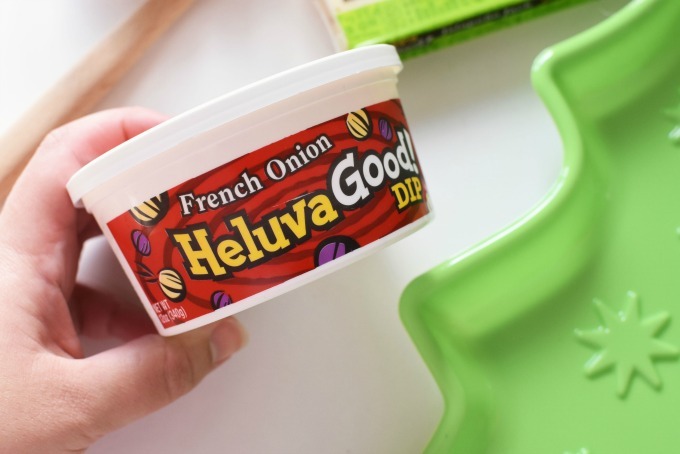 Heluva makes such great dips. This looks delicious and it’s so creative! I love how festive it is for the Christmas season. What a cute cheese platter! I will have to make this for one of my gettogethers this year! This is really cute! Would be perfect for my holiday guests! 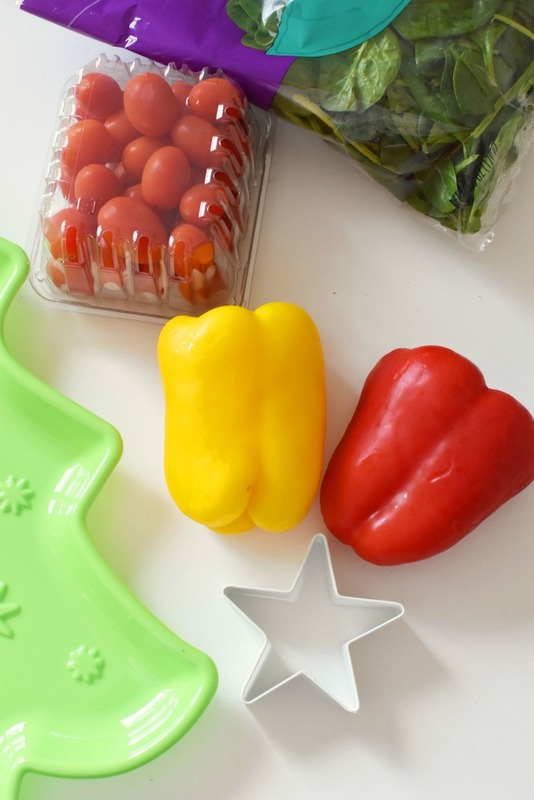 What a fun and festive platter! I especially love cheese plates! 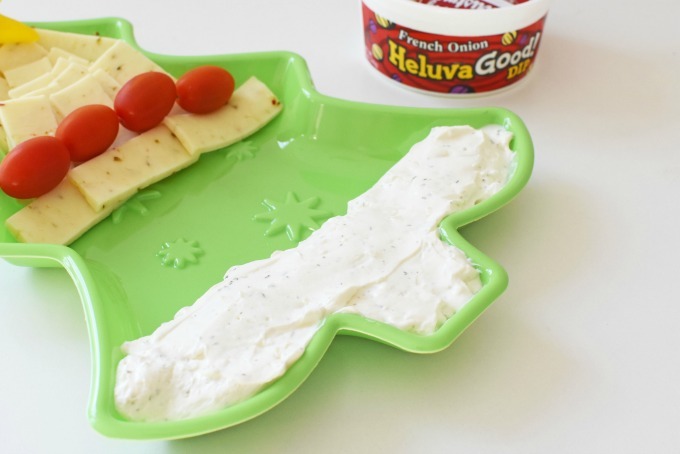 We love Heluva Dips and this platter is just beautiful! I want to make it for the holidays!